Topaz series features a classic oval-shaped bathtub design with stylish, ridged edges. The oval bathtub opening allows bathers to enjoy a comfortable bathing experience. Malachite collection features a classic, corner tub design with an oval opening that will fit perfectly into any bathroom design setting. Molded seat provides comfort and safety. Topaz 5 ft. Acrylic Drop-in Right Drain Oval Whirlpool and Air Bathtub in White Topaz series features a classic oval-shaped bathtub design with stylish, ridged edges. 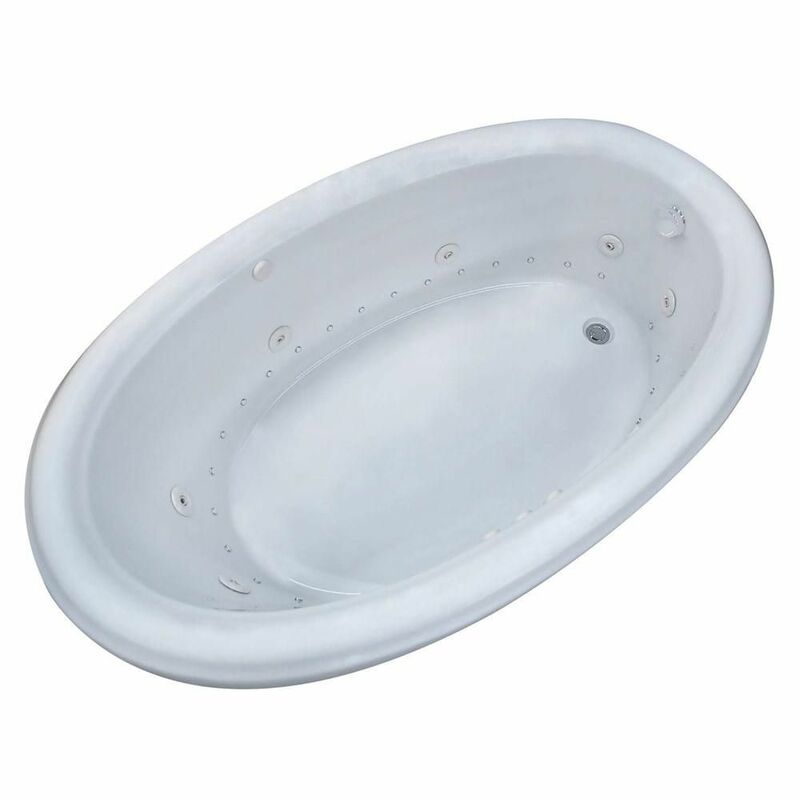 The oval bathtub opening allows bathers to enjoy a comfortable bathing experience.